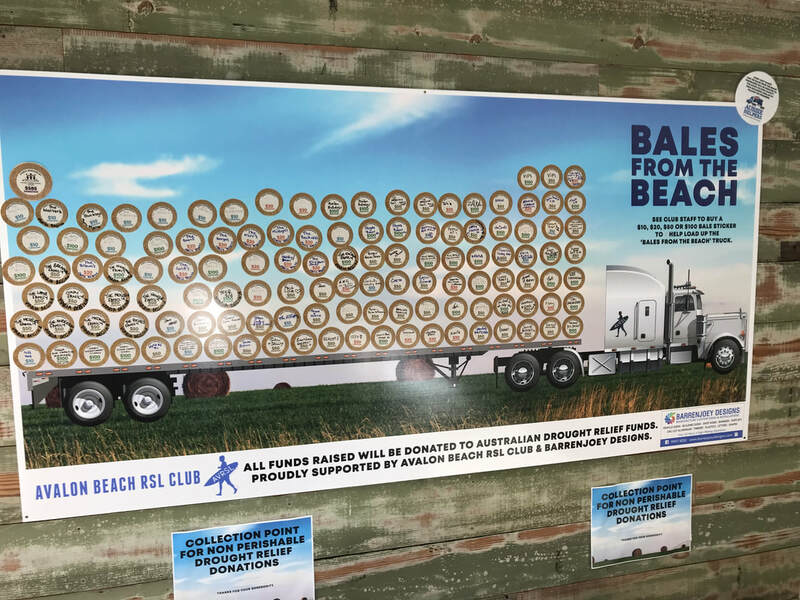 The Bales from The Beach Farm Aid has been put together by Avalon Beach RSL Club after getting such an overwhelming and heart warming response from our local community to the Bales to The Beach fundraising campaign. Track the progress of the campaign here! ​the FARM AID event on the 25th August 2018. Every cent raised will be donated to the Aussie Helpers Charity supporting our Australian Farmers. 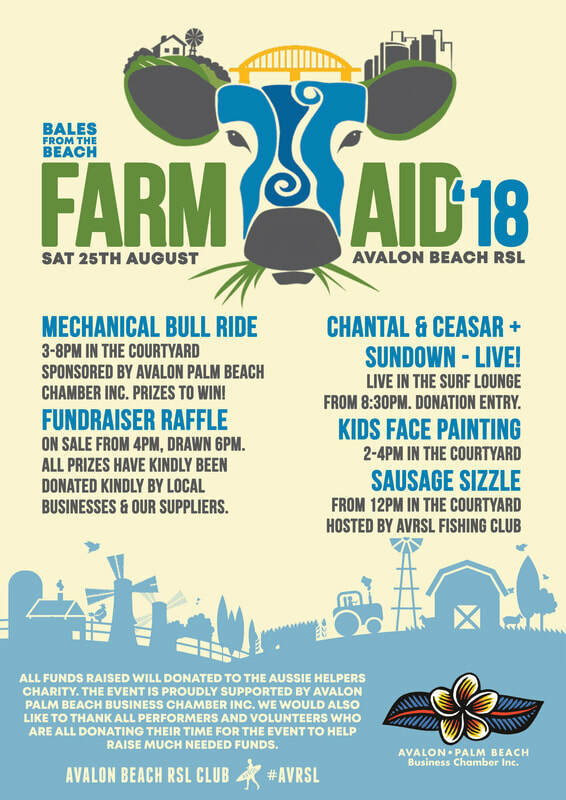 If you or your business are able to donate any raffle prizes for the day please call Cristo on 9918 2201 or email promo@avalonrsl.com.au. ​We like to think that supporting our hard working farmers is a privilege, although it can be challenging, it never stops being rewarding, seeing people smile again, it makes our job worthwhile and inspiring. Why not get involved in our cause, fundraising, volunteering or joining in our conversations on Facebook, we’d love to see you there.